Sheetz is one of America’s fastest-growing, family-owned and operated convenience retailers with stores across six states. Unique benefits and advancement opportunities reflect the company’s genuine concern for employees’ well-being—a respect that extends across the counter through Total Customer Focus. At Sheetz, we are driven to win! Sheetz employees show off their high energy at work every day. Ribbon-cutting event at our new Sheetz Operations Support Center welcomed employees and family. Support staff at our corporate headquarters embrace teamwork. Our Shweetz® bakery items are baked fresh every day and delivered to each Sheetz location. Team members at our Sheetz Distribution Center in Claysburg, Pennsylvania. One of our baristas prepares a Sheetz Bros. Coffeez® specialty drink. 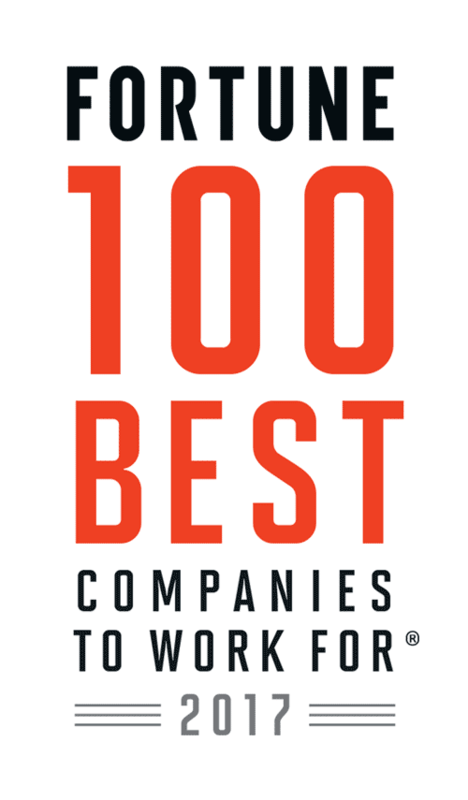 Congratulations to Sheetz, Inc. on being named to these Best Workplaces lists!